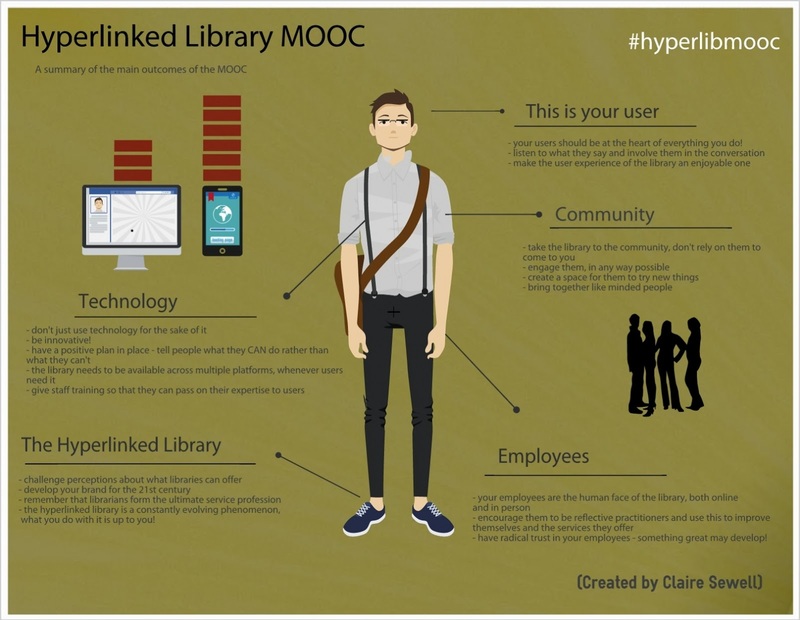 This week is the final week of the Hyperlinked Library MOOC and whilst I won't be sorry to have a bit more time to myself I will miss taking part. 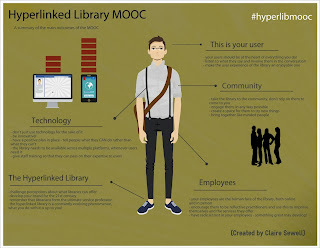 The creators of the MOOC have managed to create a really inclusive atmosphere and I hope that plans to continue some of the collaborations really happen. I've been a big fan of this course and would really encourage others to take part if/when it runs again. I've learnt a lot and made some great connections which was pretty much the aim of the course for me!